From the south of China you can get to Chengdu very easily by train, which is typically the budget backpacker’s choice of transport. There are direct trains to Beijing, Lhasa (Tibet), Kunming & Xi’an, to name a few. You cannot get to Shanghai directly from Chengdu by train. There’s also an airport serving international cities such as Tokyo, Vancouver, Bangkok, Singapore, Kuala Lumpur, London, Sydney, etc. You can also fly to all of the major cities within China. Getting to Chengdu from the south of China is fairly easy if you have the time, or the money. 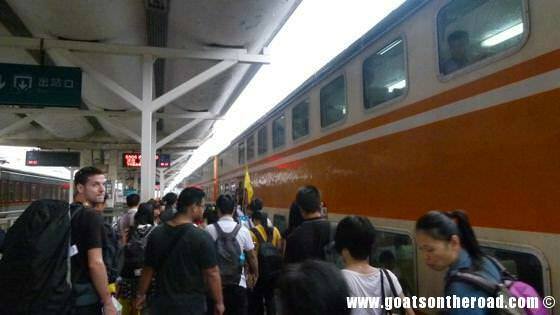 When we were in Guilin, the direct trains to Chengdu were fully booked. If you’re on a budget like us and you find yourself in this position, the best bet would be to take the seating train from Guilin to Liuzhou (25rmb, 4 hours) and then switch trains to a hard sleeper to Chengdu (179rmb, 22-28 hours depending on which train). It’s a very long journey, but it ends up being much cheaper than a flight. Plus, the trains in China are pretty good and there’s even a restaurant car (about 25rmb/dish). 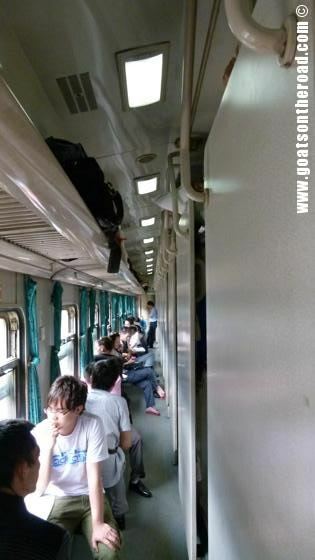 Few trains start their journey in Guilin, and therefore it can be difficult to find seats. We suggest booking tickets as far in advance as you can. If you don’t have the time (or just think that 30 or so hours on a train is crazy), your best option would be to fly to Chengdu. Check out elong.com for cheap tickets. There are 10 direct trains daily from Chengdu to Xi’an. 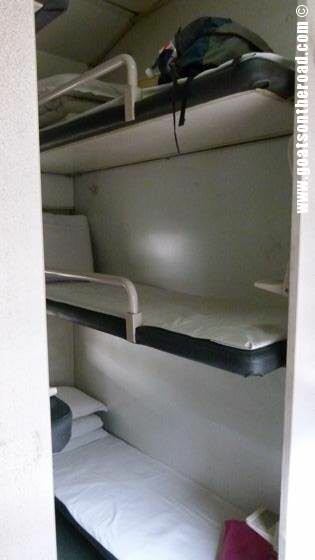 The cost of a hard sleeper berth is between 200-250rmb. It takes between 15 to 18 hours to get to Xi’an. There’s also a fast train (T8) from Chengdu to Xi’an that only takes 12.5 hours. To get to Sim’s Cozy Garden Hostel (a place we recommend for budget backpackers!) from the East Railway Station, take Bus #2 to the North Railway Station. Once there, walk down the main road for about 2 blocks until you see the local bus station. Find bus #34, it will drop you off about 1 block from Sim’s. To get to the Giant Panda Breeding Research Base without going on a tour, take bus #53 (1.80rmb) from the street just near Sim’s (the staff can point you in the right direction). At the very last stop, switch to bus #198 (1.80rmb) and get off at the Giant Panda Breeding Research Base.